Member, Academic Advisory Committee, Institute of Sociology, Academia Sinica, 2004-2010. Member, Academic Advisory Committee, Institute of American Studies, Academia Sinica, 2004-2007. Member, Editorial board of Academy of Management Review, 2004-2010. American Sociological Review, American Journal of Sociology, Administrative Science Quarterly, Social Forces, European Sociological Review, Academy of Management Review, Academy of Management Journal, Organization Science, Journal of International Business, Sociological Forum, Sociology of Education, Research in Social Stratification and Mobility, Sociological Perspectives, Social Science Quarterly, Journal of Family Issues, Sociology of Aging, Journal of Health Politics, Management and Organization Review, National Science Foundation, Stanford University Press, Pittsburg University Press, and Cambridge University Press. Forthcoming Jean Oi, Scott Rozelle, Xueguang Zhou (eds.) Growing Pain. Brookings Institute Press. 2003 Xueguang Zhou. 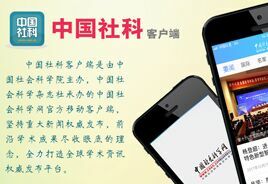 Ten Lectures on the Sociology of Organizations (in Chinese) [组织社会学十讲]. 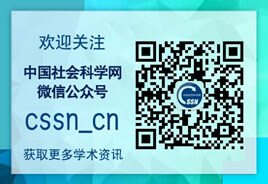 Beijing: Social Science Document Publishing House. Forthcoming. Xueguang Zhou. “Can a falling leaf tell the coming of autumn? Making sense of village elections in a township, …, and in China.” Chapter in Growing Pain, edited by J. Oi, S. Rozelle, and X. Zhou. Brookings Institute. 2008 Xueguang Zhou. 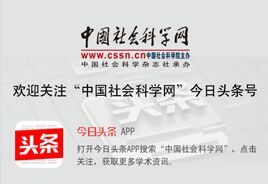 “Collusion among Local Governments: The Legitimation of an Illegitimate Government Behavior.” (in Chinese) [基层政府间的“共谋现象”：一个政府行为的制度逻辑] Journal of Sociological Research [社会学研究] 6. 2008 Wei Zhao and Xueguang Zhou. “Intraorganizational Career Adancement and Woluntary Turnover in a Multinational Bank in Taiwan.” Career Development International 13: 402-424. 2008 Xueguang Zhou. “Rethining coporative bases of governance in rural China: Observations and reflections from villages.” Chapter in Creating Wealth and Poverty, edited by Deborah Davis and Feng Wang. Stanford University Press. 2007 Wei Zhao and Xueguang Zhou. “Returns to Education in Urban China’s Transitional Economy: Reassessment and Reconcpetualization.” Pp. 224-247 in Education and Reform in China, edited by Emily Hannum and Albert Parker. Routledge. 2006 Xueguang Zhou, He Cai, and Qiang Li. “Property Rights Regimes and Firm Behavior.” Pp. 97-119 in China’s Domestic Private Firms: Multidisciplinary Perspectives on Management and Performance, edited by A. Tsui, Y. Bian, and L. Cheng. M.E. Sharpe, Inc.
2005 Xueguang Zhou. “The Institutional Logic of Occupational Prestige Ranking: Reconceptualization and Reanalyses.” American Journal of Sociology, 110: 90-140. 2005 Xueguang Zhou. 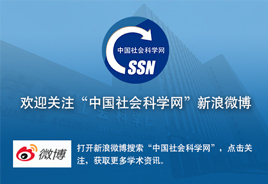 “Inverted Soft Budget Constraint: An Organizational Analysis of Governmental Behaviors.” (in Chinese, “逆向软预算约束：一个政府行为的组织分析”) Social Sciences in China (中国社会科学), 2: 132-143. 2005 Xueguang Zhou. “Relational Property Reights: A Sociological Interpretation.” (in Chinese, “关系产权：产权制度的一个社会学解释”) Sociological Research (社会学研究), 2: 1-31. 2004 Wei Zhao and Xueguang Zhou. “Chinese Bureaucracy in Transition: Changing Promotion Patterns in the Post-Mao Era.” Organizational Science 15: 186-199. 2003 Xueguang Zhou. “Understanding Institutional Changes in China: Some Theoretical Explorations.” Pp. 610-638 in Economic Globalization and China, edited by Min Hua and Shen Wei. Shanghai: Fudan University Press. 2003 Xueguang Zhou, Wei Zhao, Qiang Li and He Cai. “Embeddedness and Contractual Relationships in China’s Transitional Economy.” American Sociological Review 68: 75-102. 2002 Wei Zhao and Xueguang Zhou. “Institutional Changes and Returns to Education in Urban China: An Empirical Assessment.” Research in Social Stratification and Mobility 19: 337-373. 2001 Xueguang Zhou and Phyllis Moen. “Job Shift Patterns of Husbands and Wives in Urban China,” Pp.333-367 in Careers of Couples in Contemporary Society, edited by Hans-Peter Blossfeld and Sonja Drobnic. Oxford, England: Oxford University Press. 2001 Xueguang Zhou and Phyllis Moen. “Explaining Life Chances in China’s Economic Transformation: A Life Course Approach.” Social Science Research 30 (4): 552-577. 2001 Xueguang Zhou. “Political Dynamics and Bureaucratic Career Patterns in the People’s Republic of China.” Comparative Political Studies 34: 1036-1062. 2000 Xueguang Zhou. “Economic Transformation and Income Inequality in Urban China: Evidence from a Panel Data.” American Journal of Sociology 105: 1135-1174. 2000 Xueguang Zhou. “Reply: Beyond the debate and toward substantive institutional analysis.” American Journal of Sociology 105: 1189-1195. 2000 Xueguang Zhou, and Olga Suhomlinova. “Redistribution under State Socialism: A USSR and PRC Comparison.” Research in Social Stratification and Mobility 18: 163-204. 1999 Xueguang Zhou. “Studies of Chinese Organizations and Institutional Changes in the English Literature: A Survey” (in Chinese, 西方文献中有关中国组织与制度变迁的研究述评). Sociological Research. Also in pp. 139-169 in Social Change in China’s Reform Era (in Chinese), edited by Edward Tu and Yi-min Lin. HK: Oxford University Press. 1999 Xueguang Zhou and Liren Hou. “Children of the Cultural Revolution: the State and the Life Course in the People’s Republic of China.” American Sociological Review. 64: 12-36. 1998 Xueguang Zhou, Phyllis Moen, and Nancy B. Tuma. “Educational Stratification in Urban China: 1949-1994.” Sociology of Education 71: 199-222. 1997 Xueguang Zhou, and Xaiomei Pei. “Review Essay: Chinese Sociology in a Transitional Society.” Contemporary Sociology 26: 569-572. 1997 Xueguang Zhou, Nancy B. Tuma, and Phyllis Moen. “Institutional Change and Patterns of Job Shifts in Urban China, 1949-1994.” American Sociological Review 62: 339-365. 1997 Xueguang Zhou, "Organizational Decision Making as Rule Following." Pp. 257-281 in Organizational Decision Making, edited by Zur Shapira. Cambridge University Press. 1996 Xueguang Zhou, Nancy B. Tuma and Phyllis Moen. “Stratification Dynamics Under State Socialism: The Case of Urban China, 1949-1993.” Social Forces 74: 759-796. 1995 Xueguang Zhou, "From Unorganized Interests to Democracy: Problems of Political Transition in China." Asiatische Studien-Etudes Asiatiques XLIX: 49-69. 1995 Xueguang Zhou, "Partial Reform and the Chinese Bureaucracy in the Post-Mao Era." Comparative Political Studies 28: 440-468. 1995 Palmer, Donald, Brad M. Barber, Xueguang Zhou and Yasemin Soysal. “The Other Contested Terrain: The Friendly and Predatory Acquisition of Large U.S. Corporations in the 1960s.” American Sociological Review 60: 469-499. 1994 Xueguang Zhou, "The Cost of Centralization in China." (in Chinese) [中央集权的代价] Modern China Studies 41: 54-59. 1993 Donald Palmer, P Devereaux Jennings, and Xueguang Zhou, "Late Adoption of the Multidivisional Form by Large U.S. Corporations: Institutional, Political and Economic Accounts." Administrative Science Quarterly 38:100-131. 1993 Xueguang Zhou, "Occupational Power, State Capacities and the Diffusion of Licensing in the American States: 1890-1950." American Sociological Review 58: 536-52. 1993 Xueguang Zhou, "The Dynamics of Organizational Rules." American Journal of Sociology 98:1134-66. 1993 Xueguang Zhou, "Unorganized Interests and Collective Action in Communist China." American Sociological Review 58:54-73. 1992 Xueguang Zhou, "On Political Cycles in Contemporary China." [论“一管就死，一放就乱”] Pp.149-169 in State and Society in Contemporary China, edited by Xueguang Zhou (in Chinese 中国的国家与社会关系) Taiwan: Gui Guan Publisher （台湾：桂冠出版社）. 1991 Bernard P. Cohen and Xueguang Zhou, "Status Processes in Permanent Work Groups." AmericanSociological Review 56: 179-188. 1989 Xueguang Zhou, "Bringing the Missing Link Back In: Local Bureaucracy in China's Political Dynamics." Revue Europeene des Sciences Sociales 27: 169-189. 1988 Xueguang Zhou, "The Dilemma of Rationality and The Insights of Evolutionary Epistemology,"(in Chinese) [理性的困境与进化认识论的启示] pp. 273-301 in Chinese Intellectuals on Society, Politics and Economy, edited by Shaomin Li. Taipei: Gui Guan Press. 1986 Xueguang Zhou, "Chinese Firms in Transition: A Sociological Approach." 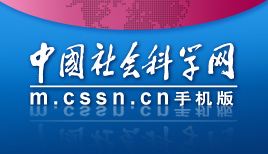 (in Chinese) [企业运动的社会学思考] Fudan Journal of Social Sciences （复旦学报 社科版）6:3-10.